Oxide had the most liked content! The past couple of months have seen a few big pieces of gaming news. BLIZZARD announced a big gain in profits, then decided to lay off 800 employees. When you look up different articles about this, it seems the company has changed from what it use to be a many years ago. Honestly in 5 years BLIZZARD will probably be a different company than what we remember. APEX LEGENDS, this game came out of nowhere. What I have read about it, even though its released on EA platform Origin, it is not an EA Game. When EA bought RESPAWN, the makers of TITAN FALL, people thought what would come down from them. Maybe another type of TITAN FALL game, or something like that, but what I hear is they went to EA and asked to do a different game. EA at first said no, but they told them that EA doesn’t need to advertise it just let them do what they do and put the game on their platform. Let RESPAWN take all the heat. Well the rest is history, with no advertisement they just released it and boom the game exploded in a world of fun. Its like they too the best parts from other battle arenas and combined them in a great. I bet we see other games take on some of its aspects. If you saw the trailer last year about ANTHEM from BIOWARE, people thought this game was going have a chance to be game of the year. Upon release last week its only about 50% good. Talking to people who played it they say the same thing, its ok/good, just not a game that draws you in. More like a game you put when nothing else to play. Because of they wanted a better response, BIOWARE now has released a 90 DAY ROADMAP hope to tell people it will get better. Time will tell. ENTERTAINMENT NEWS Of course, the big movie coming this year is AVENGERS: ENDGAME on April 26th, but we get to introduce ourselves to CAPTAIN MARVEL on March 8th. What will happen to this universe. I believe this will end phase 3 of Marvel, and the new phase 4 of Marvel movies start this summer with SPIDERMAN: FAR FROM HOME on July 5th. What changes will we see. Other notable movies coming, DUMBO March 29th, HELLBOY April 12th, JOHN WICK 3: PARABELLUM on May 17th. These are just a few that I am interested in, but this spring and summer movies should be a big growth in the box office. Don’t know if you realize this but right now the highest grossing movie in the world at over $600 Million is not a US movie. It’s THE WANDERING EARTH from China. It was so well received that NETFLIX bought the STREAMING RIGHTS to it very quickly. Unknown as to when it will be released here in the states and the concept is crazy, but I can’t wait to see it myself. Love a good sci fi movie. FUTURE UPDATES I found I can find more news I like by doing this every other month instead of monthly. I hope to continue like this which seem easier. I hope all of you are always having fun and keep on gaming and don't get to cold out their this winter. What can we say about 2018 for gaming. Here is a WIKI page that has all the releases and events of 2018 gaming. I picked up BATTLEFIELD 5 myself and I am enjoying it. With 2019 around the corner, here are couple of things I would expect. First it will be interesting to see what is going to happen with BLIZZARD, don’t know if you heard, but ACTIVISION seems to be taking over. Blizzard offering payouts to their Customer Service reps, to leadership changes. HERE is an interesting reddit post that might explain a little about what is happening, but let’s see what this year has for us. We also got a NINTENDO SWITCH for Christmas SMASH BROS is awesome. MECHWARRIOR 5 looks fun and they are making of live action movie of DYNASTY WARRIORS. I know the movie will be all wire fu but I played all the games multiple times, so it will be fun just to watch. KINGDOM HEARTS 3 will be fun plus a couple of other games on the horizons. Be on the lookout. MOVIES 2019 will be a year of superhero movies. M. Night Shyamalan movie GLASS will be one of the first. But of course, we have CAPTAIN MARVEL which leads to AVENGERS: ENDGAME. A new X-MEN movie, throw in another SPIDER-MAN movie and a little SHAZAM and JOHN WICK dropping more bodies, finally ending the year in STAR WARS. When you get a chance, put down the game and go out for some dinner and enjoy a movie. ENJOY LIFE I had a couple of rough years but now seeing my oldest going to college I have new hope. Don’t let the politics get you down, if you want to complain make sure you vote too. If you don’t like the movies out there, you can make your own now with your cell phone. Steven Soderbergh did it with UNSANE. Just have a little fun this year, go outside, play a board game with kids, EXPLODING KITTENS is fun. Excellent. Hopefully I should have my newer computer after thanksgiving and then hopefully get the game soon. Well BLIZZCON seemed to be a bust. Our hopes for some big DIABLO news was just a mobile game. If you interested you can do some quick searching articles about how it went down. I found a decent ARTICLE that explains kind of how I feel about the whole thing. And saw a good YOUTUBE video on probably how it should have went down. I agree with it that it would have satisfied us fans. Come on Blizzard, you could have thrown in the DIABLO NETFLIX announcement or a tease of a Diablo 2 Re-master. Something instead of ending on a mobile game. Like others said I only play a mobile game when I am taking the bus or just passing the time waiting for something. Sigh. Unless Blizzard tries to recover from this by announcing something sooner, like at Dreamhack in the next weeks or CES in January, it might not come till E3 in June 2019. One good thing that came out of Blizzcon was during the opening they announce that DESTINY 2 is free now if you have a Battlenet account. So I have been trying it out and it's kind of cool. Free is always cool. BATTLEFIELD 5 Battlefield 5 is already in early access with full release on Nov 20th. You can see people STREAMING it now. I will be picking it up myself, but not sure when. Might be an early Christmas president if I can make it possible. From what I have been seeing this game looks very entertaining. The ability to even revive a squad member without a medic is huge, but of course a medic does it a lot faster. I also enjoyed seeing people put up fortifications to defend a point, another great added addition. To all our WMD members I say let's try and give this game a shot. Would be cool to be shooting up the town with all you again. HAPPY THANKSGIVING ALL I hope you all have a safe and wonderful holiday season. There are a couple of great movies coming out and I know we all love playing games but spend a few days with your family as well. About what I spoke about last month with esports maybe being in the Olympics, the IOC decided that ESPORTS ARE TOO VIOLENT FOR THE OLYMPICS. Evan though many of the Olympic events had the origins in violence, in today's time we don't kill each other for a medal. What I believe should happen is there be a separate Olympics just for esports. Think about it, let's take all the esports games, from Super Mario Cart to CS:GO to Streetfighter, and gather the best players of from each countries teams and have a week of events. If a League of Legends championship can sell out a stadium in hours I don't think they will have any trouble selling tickets to these events either. Gaming News The biggest news right now is Diablo. DIABLO COMING TO NINTENDO SWITCH, a possible DIALBO ANIMATED SERIES COMING TO NETFLIX, and SEASON 15: BOON OF THE HORADRIM started on September 21. I predict we will also hear about more Diablo news at Blizzcon. BATTLEFIELD 5 had their open beta the first week of September and a few of our members got to play. Talking to them they seem to enjoy it. It had some quirks, but that could have been just the beta, but it looks to be a good game. EA shared some news on WHAT THEY LEARNED FROM BATTLEFIELD 5 OPEN BETA. I hope I will be able to join others when its released on November 20th. I don't know if you heard but TELLTALE GAMES WILL BE CLOSING ITS DOORS. The makers of some great adventure games such as The Walking Dead and The Wolf Among Us are ending. They sure will be missed. Entertainment News It looks like DISNEY IS PLANNING TO SLOWDOWN THEIR STAR WARS OUTPUT. Guess they and others feel like they might have over-saturated the movies with Star Wars and Solo was not as big a success as they hoped, after episode 9 you may only see a Star Wars movies every 2 or more years instead of once a year. Fall TV is starting up now, HERE IS A LIST OF THE BROADCAST PREMIERS if you're interested. Personally I am interested in DOCTOR WHO STARTING ON OCTOBER 7TH with a brand new doctor. I followed Doctor Who since Tom Baker and I hope this new doctor, played by JODIE WHITTAKER, reignites a whole new generations of WHOVIANS. BACK TO SCHOOL Hope everyone enjoyed their summer. Its back to school season and most schools have started or will start soon. I know your all aware, ESPORTS have really exploded across the world and become more and more main stream. There are even talks of ESPORTS IN THE OLYMPICS in 2024. This goes down even to the local level, here where I am in Arizona, HIGH SCHOOLS WILL OFFER ESPORTS, and include a state championship. Imagine telling your kids "Yea I lettered in sports and won a state championship in high school, playing video games." Gaming News BATTLE OF AZEROTH started on August 14th for all WoW players. It even broke its own 1 day record of selling 3.4 MILLION COPIES. Wonder what will happen If Blizzard decides to make another MMO. I thought of a possibility were Blizzard creates a new MMO where WoW merges with it so you have 3 factions, WoW, Starcraft, Diablo. Wouldn't that be insane. There is a new game coming out next year, from the creators of THE WITCHER 3, you know what I am talking about CYBERPUNK 2077. The game has only released some wallpapers, concept art, screenshots, and a nice trailer. People say in the screenshots you can kinds of see what the combat will be like. Either way it should be one incredible game. I read a great article about BATTLEFIELD 5 a couple of days ago which was someone who got to play the demo some and I got excited about. Maybe this will be the game to bring WMD back together again for some good old PUBSTOMPING. Entertainment News August tends to be a time to push that last popcorn movie out such at MEG and MILE 22, and flood cable and internet ads with a bunch of trailers for the upcoming fall TV season. One surprising hit was CRAZY RICH ASIANS. Twitter and other sites seem to really love this movie. I haven't seen it yet, but actually plan too. Finally for the most demented movie to come out in a long time THE HAPPYTIME MURDERS. For those who think TED was an edgy plush bear, think again after you watch this movie. It's not going to win any Oscars, it will probably win RAZZIES, just watch THE HAPPYTIME MURDERS trailer and find out for yourself. 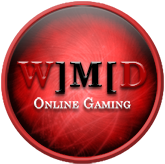 W]M[D Gaming is a community of people who have similar interests. We play all variety of games, from MMO’s to tabletops. Even enjoy watching movies in our Netflix channel. Please poke around if interested. I hope to get out some kind of article once a month, talking about the games we play and the shows we watch. The World of Games The game most are playing now tend to be scattered. Could be Diablo, Overwatch , even Rising Storm 2 Vietnam. We tend to rally and come together when something new that will peak our interest. Battlefield 5 recently was announced and maybe a bunch of us will get back into it and have some fun. Personally I would like a sequel to Battlefield 2142, but we can dream right. I always thought if they did a first person shooter type of game, wouldn’t be cool to be in the super power universe. Overwatch is a close reality to it, but want more open environment in the Battlefield type of genre. The Video Entertainment. Hope everyone catches Incredibles 2. The reviews are great. Jurassic World: Fallen Kingdom just started, Ant-Man and the Wasp next month. Westworld is almost over, but most people are probably waiting for Games of Thrones to come back and finish off. Did you hear HBO green lighted a Game Of Thrones Prequel, that will be a journey I am sure. Let’s talk again next month. Have fun and keep on gaming. Battlefield 5 Trailer coming soon. https://twitter.com/killat0n_/status/967481283445231617 Would like it to be a 2143 title, but we can dream right. I know I haven't been on with you guys in awhile. But if people are getting this I might just be back on. I saw the presentation they gave. Looks good again, but I had high hopes for the last one. Though this will have a single player campaign and a lot more maps and playable teams. Playing a droid could be cool. It will have people/heroes from all generous of star wars. In the clip above you can see Rey fighting against Darth Maul. Still want a BATTLEFIELD 2143 or BATTLEFIELD 2242, what ever they are going to call it. Have any of you tried it? Seems really cool with the stuff. Played on some 500% maps, there cool but you do want to limit some hero's like, Genji, Solider, Hanzo, Ana. Maybe something with all tanks, Played on a Zombie one where everything was super slowed down. The possibilities are endless on what you can do.